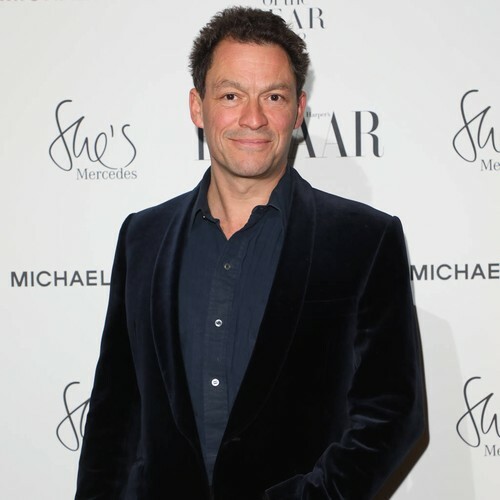 Dominic West was scolded by Taylor Swift's aides for letting it slip that a big star was staying at his Irish castle over Christmas in a magazine interview. The actor and his wife took over her family's stately home hotel, Glin Castle, after his father-in-law died, and they have been trying to drum up business - and when the Love Story hitmaker booked the place for a winter break, West had trouble keeping his excitement under wraps. "We've trying to let it... for reunions and things like that, and I was so excited by our guest at Christmas that I unfortunately enthused a bit too to a magazine and said, 'We've got a big star coming to stay...,'" Dominic told The Talk on Tuesday (02Apr19). "I said, 'It's OK, it's a castle, there's a river at the back, there's 300 acres of gardens and so she'll be quite safe'. I think she had a good time, but I nearly let the cat out of the bag." But Taylor and her boyfriend Joe Alwyn weren't the first big name couple to stay at Glin Castle - Mick Jagger's heart was broken by Marianne Faithfull there. "They were friends of (wife) Catherine's parents and a lot of the swinging sixties London crowd liked going to Ireland," he explained. "Unfortunately for Mick, Marianne fell in love with an Irishman while she was there, so he left alone and she stayed behind." Dominic's wife recently recalled Jagger and Faithfull's stay at Glin in an Architectural Digest piece, telling the publication, "She’s a great friend of ours, but she left Mick Jagger at Glin Castle! "My parents were part of the whole swinging-sixties art scene in London and Dublin and they had friends in all kinds of worlds. My dad would invite totally opposite people, like priests and poets and rock singers, all mixed up in a crazy hodgepodge. Everyone loved it."